Just look at the shank whenever you can. The wear on the plasticky pyramids will be evident. I had that issue in the first try of the Vapor Xs. I have a sneaking suspicion that it's been addressed in new Vapors. But maybe not. I have had that issue in the Cage 3s (and Cage 2s). 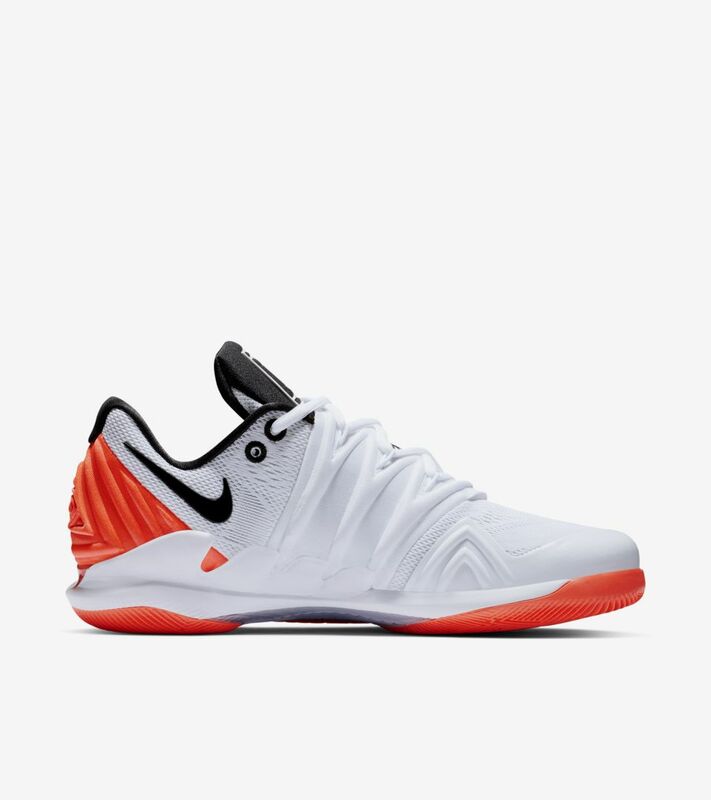 But Federer vapor x Us Open '18 will put them on sale? How's the clay version of the X's? What I really don‘t get is why the toebox is slightly bigger in the clay version. This is the case for the 9.5 as well as X. Same size of course. Does the clay shoe run 1/2 size larger or is only the toebox a little more roomy? Does the clay Cage 3 run 1/2 size larger than the hard court version or is the clay version only a little more roomy in the toebox or in width? Great, thanks. Curious about the Cage 3 as well. Just got my first pair. Love them, but they are not as low as I thought they would be. I like my foot as close to the court as possible. I imagine my vapor 9.5 clay are lower than the vapor 9.5 HC? The fit is great for me. The 9.5 are a bit too wide for me. The X are tighter all the way until the toe-box, witch is maybe a bit wider the the 9.5. Perfect for me. So those shoe laces are obnoxious, anyone get a different size shoe-lace after market? The latter. These are beautiful shoes. I was skeptical moving from the 9.5 but boy was I surprised. Kei gets his own colourway. Got out on court for 2 hours over the past week in my new Vapor X, first impressions are good, really good ankle support for me, usually I wear ASO Brace's but I didn't feel the need to wear them, I play on Artificial Grass so they're gonna turn green pretty quick. Only small issues is the aching pain I have in my foot, I think after they've been broken in they'll be fine. I'd buy these as a casual shoe. They're just a bit too narrow for me to wear as a competition shoe. Was about to buy one... then I saw the price. Pfft. WOW,, is this shoes hot or what ? Pretty hot and quite pretty. I'm glad they replaced the vamp area with synthetic leather. Also, it's good to see that swoosh stitched down old school style. I'm kinda bored of all the nowadays hi tech gimmicks. The subtle design elements are nice, the laces as well. I have pretty wide foot ( over E width in sizing chart ) but comfortably wear Vapor 9.5 Tour size US 8.5 till now. Go to a local shop and try one on. Or order a pair and immediately exchange it if it feels wrong. its 2018 people use that return/exchange policy! Unfortunately I live outside US and Europe.. I always bought online for all my Vapor Tour ..
No local store in my country which sells this shoe. Jack Sock had a terrible time today with the X in Paris... He changed shoes at least twice. I didn't try to figure it out, but I'm guessing there was a lot of tear on the shoe he probably drags while sliding. 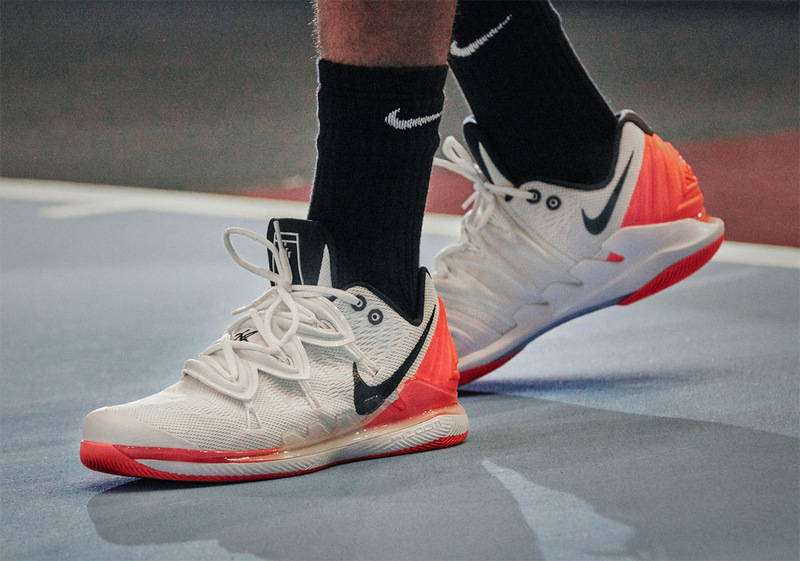 What other Nike tennis shoes have you owned that fit properly? What size and where they snug? I have 9.5, Flyknit, X, Cage 3 and AM95 all in size 10. The fits are all slightly different. I have about 14 pairs of Nike Vapor 9.5 Tour regular and size US 8.5 gives me perfect fit , excellent lateral support and lightweight that I think I am the fastest runner in any community I ever played at my age.. I still use them till now as I noticed the Vapor Tour released 2017 and onwards had much better glue quality. I like the Vapor X Tour with particle rose colorway and intend to grab when the price comes down later.. However I maintain to use size 8.5 US again after I read the review comments on TW testing section..
Just picked up my first pair of Vapor X's. They fit great except for one issue. There's a piece of material on the inside of one eyelet on the medial side of the left shoe and it presses against my arch (see pic). Has anyone else experienced the same problem? Of all the recent Nike shoes I've bought (in the last 5 years), it was *only* the Flyknit that I wish I had picked a 0.5 smaller than all the others. 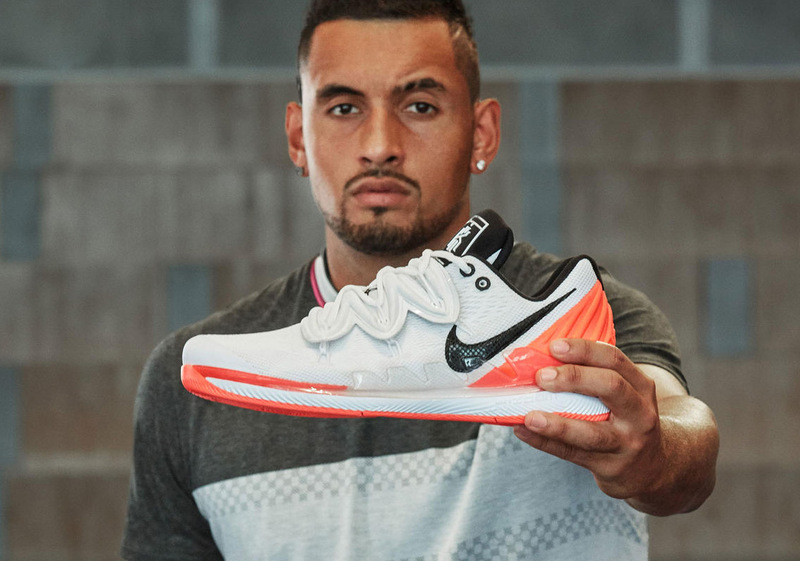 Does anyone know if the Vapor X is just carrying over to 2019, unchanged? Most beautiful shoes ever arrived today. Curious that you had to put that disclaimer at the beginning. Anyway, yay! Thanks for sharing your opinions. I’m not the only one thinking it’s a little tight. Have you played in your pair or just tried it on for fit? I found it loosens up as you play in them. But marginally. I’d almost say the fit is the same as the Cage 3. Cage 3 also has a very tight toebox. I did purchase mine from Nike.com because of their generous return policy. They’re going back, unfortunately. I will try a size 10 whenever other colors come out. and my foot might slide around causing lack of lateral support. i thought they might actually be wider than the 9.5s, but i think its the lateral support. i walked around for a few days before trying to play in them. when i played in them my concern was unfounded as lateral movements were great. i played doubles for three sets, running down lobs, or going for drop shots. this was a fun match with old guys who lob and drop a lot, making their opponents move rather than trying to hit through them. cant tell about the wearout factor, as i only played in them once. i migrated from Asics Gel Res to Nike Vapor 9.5s about a year and a half ago i noticed that Nike Vapors wear out faster, and have less cushioning, but i liked the lateral support and lightness better. i did have to add an insole, superfeet or softsole to add more cushioning. I only play on hardcourts, so cushioning is very important to me. if it is a big deal to you, I would return it for replacement. you deserve better for $160 shoe. those children in the Nike factory must had to skip lunch that day and probably was very tired. Ending up returning them for a different pair, but I have the same issue. I turns out that my left arch is lower than my right. Back to Asics. Too bad everywhere is sold out. I would’ve like one just to wear casually. This will be cool. I am liking the preview already. At the end of the day I had to go up a full size! But yes they are more durable and no slipping!!! 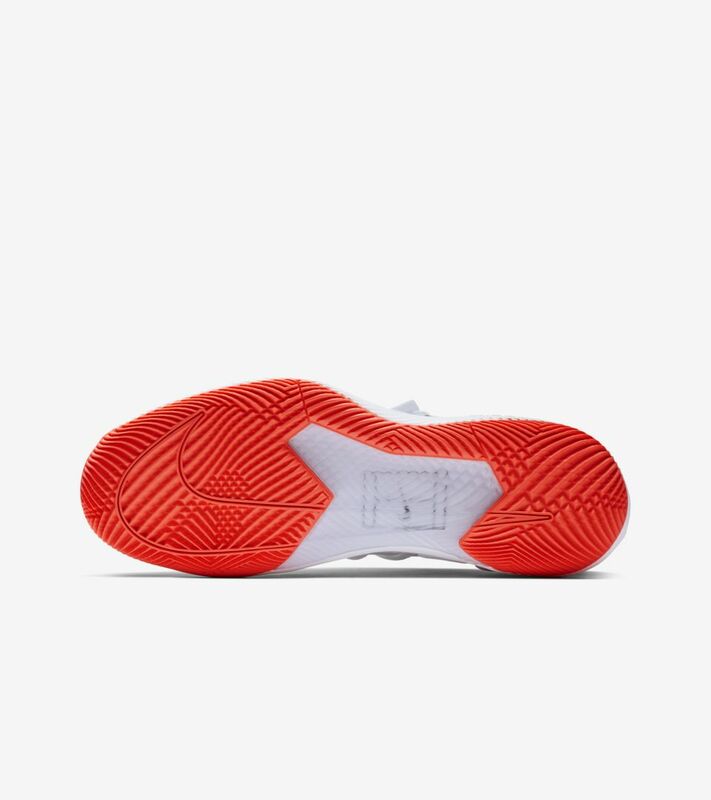 Is it only a U.S. release, or they will be available worldwide... the Kyrie shoe? 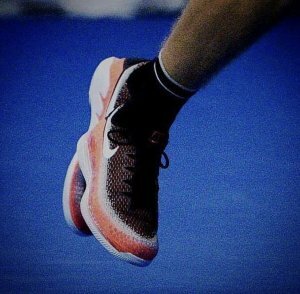 Closer look at Shapovalov’s vapors. Excellent execution of a cool idea. WT FLYING F are those??? God I hope they are better than the Flyknit versions of the 9.5. I really loved my regular Vapor 9.5's, bought a pair of the flyknit versions and HATED them. Some of the worse shoes I've ever worn on the court. Finally just wore them as regular walk around shoes as I was in massive pain when I played w/ them. They were a terrible transition from the regular version.